Birthday parties are such special events. Let our picture-perfect clowns help you create life-long memories! No problem! We can add more time to make sure that everyone can join in on the fun! We are happy to help you create the perfect party experience! 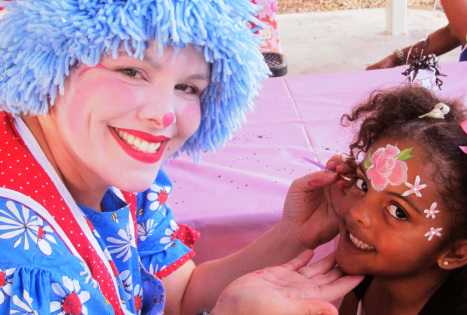 Our clowns and face paint artists are happily entertaining the entire Research Triangle Area of North Carolina! Durham, Raleigh, Chapel Hill, Cary, Apex, Wake Forest, Hillsborough, Holly Springs, Mebane, Burlington and surrounding areas!